"Hello?!" Honey Buzz called as she ran down the dusty dirt road towards Ponyville. She lived on the outskirts of town, and just as the road turned into cobble she had to pause to catch her breath. "Beeatrice?" It was an early spring morning and her heart was pounding. Of course, everything had seemed alright this morning. She had woken at 5 AM, as per usual, and then she had had a cup of warm tea with honey. She had done some light stretching and then had headed out into the bee fields where she kept the bee hives. All of them were there until she got to the third hive. She had counted them all and realized there was one missing. Upon further inspection she had noticed that the missing bee was Beeatrice! She didn't know where Beeatrice would have flown off to, but she was certainly the adventurous type and could have been halfway to Ponyville by then! Of course, this was a disaster. Honey Buzz had raced through her house and out to the street and hurried along, dashing to find her bee. She had had no such like however. The sun was just peeking above the rooftops. She estimated it to be about 7 AM. She had no idea if anypony was up, but she didn't care. Beeatrice needed her! "Beeatrice! Hello?! Has anypony seen a bee? Please, I really need some help!" She wheezed out, galloping through the streets. Heartspan watched the honey colored mare dash past. she was a flurry of concern as she asked, no shouted, at each and every pony she passed. ....What could possibly be so important about a little bee? he thought to himself. It was no surprise she had not noticed him, standing as he was in the space between two buildings. His cloak wrapped tight about him in an effort to ward off the wicked rays of the sun. he kept his hood pulled up so that not even his horn was exposed to celestia's wicked caress. he had paused because he was sleepy but it seemed fortuitous in this instant. He turned to the little companion he had gained.
" well, little one it would seem your mistress is looking for you." he said quietly to the little bee perched on his shoulder. The bee took to the air as bees do, having received a moments rest on the soft black fabric of Heart's cloak. He smiled a small smile as he captured the little thing in his magic preventing it's flight before dashing to catch up to the mare.
" Miss! Miss!" he shouted " I found your bee!" Honey Buzz had gone in to full on panic mode. She had just skidded past Sugarcube Corner when she heard someone calling from behind her. "Miss! Miss!" Somepony shouted. "I found your bee!" Honey Buzz's heart seemed to explode into joy as she whipped around and galloped straight toward the stallion. "Oh my gosh oh my gosh! Beeatrice!" She grabbed Beeatrice out of the air with a hoof and cuddled it close to her chest. "Oh Beeatrice, I was so worried! Don't EVER run off like that again! And your family! Oh, your family was worried sick. You need to let me know when you're going on an adventure! I can't believe you're alright. I'm so happy!" Her eyes glistened with tears when she looked back up at the stallion. He was wearing a tight cloak and she couldn't tell what he looked like, but she smiled at him. "Beeatrice is part of my family. Thank you so much for returning her. How ever can I thank you?" Well he had gotten her attention sure enough. her madly galloping at him was enough proof of the fact. he braced thinking she might collide into him at her breakneck pace. Thankfully that never happened, he relaxed as she swept the bee out of his field of magic, both cuddling and scolding it in equal measure. Well, she sure does like that bee an awful lot..... he thought to himself curiously . Then she turned to him, tears in her eyes. he blushed a deep red, uncertain what to say as she spoke. "Beeatrice is part of my family. Thank you so much for returning her. How ever can I thank you?" He rubbed a hoof awkwardly along the ground. He never was good with tearful mares, but thankfully these were tears of joy.
" Ah, you don't have to thank me." he replied shyly " i was just helping out my little friend who seemed lost. Anyways, my name is heartspan. i don't suppose you care to grab breakfast i am a bit hungry...it was a long night ." he pulled back the hood of his cloak so that he would not seem so sinister, as he thought of the image of him in his black cloak with a weeping mare before him. He could not help but smile both at his new acquaintance and the funny image in his mind.
" Ah, you don't have to thank me." The stallion replied. " i was just helping out my little friend who seemed lost. Anyways, my name is heartspan. i don't suppose you care to grab breakfast i am a bit hungry...it was a long night ." Honey Buzz's smile widened as he pulled the hood on his cloak back. "It's nice to meet you Heartspan. I'm Honey Buzz. If you couldn't tell, I really love bees." She laughed a bit and nodded at his request. "I'd love to have breakfast with you! All that running around made me hungry." She carefully parted her mane with a hoof and stuck Beeatrice inside it, then let go of her mane to let it fall around the bee like a curtain. "You stay in there Beeatrice until we get home, alright? I don't want to lose you again." Honey looked back up at Heartspan with a smile. "Where did you want to eat?" " Pleased to meet you Honey Buzz. " he replied in friendly fashion " And yes for sure i can tell you like bees. " he looked about for a bit to gain his bearings.
" There should be a diner cafe thing around here i sup[pose we can go there." he said offhand. then he turned to his new companion.
" Do you always carry your bees in such a fashion?" he asked " Oh, well, you can tell me all about it over our meal." he tapped his forehead lightly with one hoof while giving an awkward grin.
" sorry i am not too good at this sort of thing." he remarked as he offered her his hoof as a proper gentlecolt would do. " Plus i have not had any sleep yet so i am a bit...off my mark ." Honey Buzz laughed at his comment about carrying her bees in such a fashion. She smiled and took his hoof when he offered it. "It's alright, I'm not used to having a stallion such as yourself offer me a hoof." She looked a bit confused and then asked, "Why haven't you had any sleep? I mean, I didn't get much sleep myself, and I suppose it is very early, but still. Do you have a night job or something?" She tried to think of night jobs a pony might have in Ponyville. She supposed any of the 24 hour places needed someone to cover that shift, but she wasn't exactly sure which places those were. Her brow furrowed in thought as she desperately tried to think of a place this pony might work at. "A stallion such as myself?" he asked also in confusion " Oh and as for sleep i am,i learned recently, much more of a fan of Luna's night than celestia's day. For work i usually do odd jobs for whoever needs it and has a few bits to spare, so not specifically a night job. So what do you do for work?" he began to walk toward the cafe as his tummy growled. he wondered what she had mean when she said a stallion like him. Was there something wrong with him, not to his own mind. he thought he best not get offended until he had an answer, but it did cause him to smile. The reason for his little ironic smile, canterlot style pride, and here he thought he had escaped such a notion ages ago. "Oh, I just meant somepony like you as in a stallion. I'm not used to having gentlecolts offer a hoof to me." Honey smiled at the stallion. She listened to his opinion on the night and smiled. "I agree, the night is very beautiful. I work on a bee farm, harvesting honey. Then I sell it!" She paused and gestured to her mane, with Beeatrice inside. "That's why I was so anxious to get Beeatrice back. Bees make honey when they're happy, and they can only be happy when they have their family!" She smiled. "And I'm very attached to each bee on my farm. They're my friends!" She heard his stomach growl and noticed her own start rumbling. She laughed softly to herself and looked at the stallion, trying to think of all the different jobs a pony could do at night, and there were surprisingly more than she thought she would think of. he smiled at her reply his eye brows rising in surprise. As they walked he thought about what she said, even pausing to look at her gesturing to her bee hideout.
" i had no idea that bees made more honey just by being near family" he stated as they resumed their walk. " thinking of how ponies tend to fight most with their family, i would think they would be less productive. " he laughed a little at his observation.
" bee farming sure does sound interesting you know. " he said after another small pause. " do you think it would be ok if i came out to see this farm you work on?" he lead the mare only about a block or so away to where the cafe sat. At the entrance he held the door open for her. She walked through with a smile. "Well, they do fight sometimes, but although it's harder for them to communicate with us, I've been able to tell that bees are fairly loving creatures. They love their families, and when they bicker they usually end up apologizing a little later. They hate conflict." She paused to take a breath, finding a seat and sliding into the booth. It was very soft and the light from the window was warm. She had never been in this cafe, but it was lovely, and she definitely would be coming here more often. "Anyway," she continued, "after some time, there may be a bee who gets a little bored living in the same hive all the time, so they run off like Beeatrice here. While they're gone, the entire family misses them. It's like with us ponies. When we're missing someone we love, we can't do some of the things we normally would do. They're not so different from ponies, you see." She smiled halfheartedly. "I try to give them room to roam a bit, but sometime it just isn't enough, like what you just saw with Beeatrice. She's particularly adventurous, so it's never been enough for her, and she's always running off." She paused and smiled. "Bee farming IS interesting! It's the best job a mare could ask for. I would love if you came to see it. Usually ponies aren't interested in my line of work, but it's much more interesting than somepony would think." heartspan slide into the seat opposite honey buzz, listening intently as she spoke. he rubbed his chin with his hoof absently as he thought on her words.
" Yes, when i think on it they do seem rather like us in that respect." he smiled warmly " i suppose in this context i would be a bit like beeatrice. i like to roam around and not do as i am told and such. You have given me a lot to think on really." he took a deep breath and leaned back in his seat.
" To be honest i think it does a pony good to learn as many different things as they can. When you broaden your perspective then you become a better pony. The way you paint the picture of the bees at your farm makes it far more fascinating than i had thought originally. I was thinking that maybe it would just be an interesting trade but really it is more like a view at our own culture the way you put it. That makes it even more fascinating really. I imagine it is hard work especially the way you paint it, not just tending bees but helping to organize a families work activity. " he commented " i am really looking forward to seeing this place and observing you at your work "
The waiter dispersed a set of menus and a pair of water glasses before stepping away to tend to his other business. Heart looked over the menu casually while sipping from his water glass. Honey Buzz smiled and took a drink of her water, spreading the menu open in front of her. "You're right about that! It's definitely a lot like looking at our own kind. Although most ponies don't think of it, bees have thoughts and feelings just like any of us ponies." She paused to flip the page of the menu. "Although they all work really hard, they wouldn't do it for nothing. They don't want to work all the time. And they also want a form of 'payment', if you could call it that. For example, I have set aside a garden a ways behind my house. It has to be kind of far away, because not all ponies are like me, and they don't understand that bees are very gentle creatures. They only sting if they or their family is threatened. They're like us in that ideal as well. But some ponies don't understand that and feel uncomfortable around them." "Anyway, this garden is filled with all their favorite flowers of all colors. It smells heavenly out there. I let them have breaks and time to socialize in the garden. I let them do whatever they want when they're in the garden as long as they don't run off. They don't get into fights so it's not a big problem. They get to drink from all those lovely flowers and relax, and they love that. And of course, that's not a big payment, but it's all they really want. I get to harvest their honey and I give them a nice, safe place to live. Like I said, not all ponies are as friendly to bees, so the world isn't as safe as I'd like it to be. That's why I get so worried when they run off. I'm so afraid somepony will..." She paused to swallow, looking down at the menu. "You know. But I try to explain that to them and if they decide to leave for good, they'll tell me, and I'll let them even if I don't want to. It's their decision. But if they don't tell me before hand, I'll go after them. Most of them don't want to leave, however. They know I'll take care of them here and that no one will hurt them in our house. So we have a sort of mutual relationship." Honey smiled and looked up at Heartspan. "I get worried a lot if you couldn't tell." Heartspan listened intently as he scanned his menu. he would store the bits and pieces of information that seemed most relevant to him firmly in memory. When she looked at him the sudden movement caught his attention and he returned both the look and the smile with one of his own.
" yes, miss honey buzz, you certainly do worry about them for sure." he replied in friendly fashion " but since they are a part of your family the response is only normal really "
he carefully closed his menu.
" so besides taking care of your bees, what other passions do you have?" he asked as he gave her his full attention. " Me, my main fascination is with magic, and especially older magic. beyond that i dont have many actual interests other than exploring ruins and such. " " That and sometimes i like to watch other ponies, observe them more than just simply watch." he offered shyly " and i make a lot of plans for the future but, i am a bit of a procrastinator." " that is why i do odd jobs for a career. I get to observe, possibly find some new info that will aid my magical research, and every once in a while i meet a cool pony like you , and all in a days work." he beamed brightly" not to mention i can skip work if i want to with little consequence." "Magic? I've always been sort of interested in magic. It would make jobs a lot easier. I can definitely agree on the procrastinating, because I always hold off my plans until the very last minute." She paused and added, "Watching ponies sounds a little creepy, but I can see the appeal. It's strange to think about all the ponies that I'll never meet and that they all have lives like me, and thoughts and wants and beliefs. It's kind of sad, but I think I could enjoy watching ponies just live their lives." She closed her menu as well and smiled. "Skipping work isn't something I get to do. The bees depend on me to harvest the honey every morning. After I harvest it I can just package it and store it, and then I have the rest of the day to myself pretty much. As for hobbies, I love to try out new recipes. Most of them involve honey since I can get it for free and I love the taste, but I can make other meals without honey. I also am partial to travelling." She paused to think. "I've been to Canterlot, Manehattan, Trottingham, Las Pegasus, Appleoosa, and Fillydelphia. It's usually for work. I like to transport my honey personally to make sure it stays safe on the trip." heartspan blushed and ran a hoof through his hair.
" i suppose it is a little creepy." he replied bashfully " but it is the best way to study them. At least you see the value in it." he listened intently as she continued to speak.
" 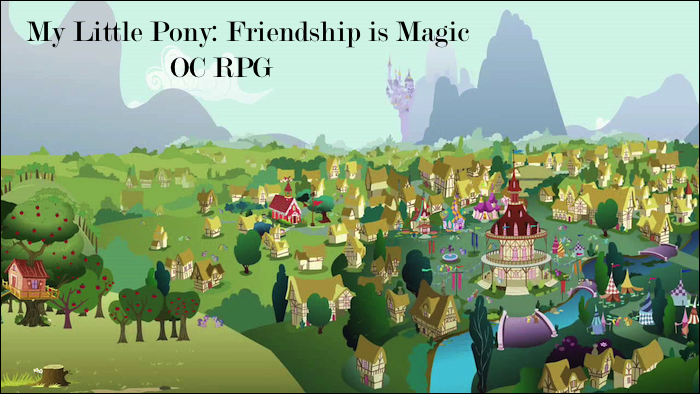 I have only been to canterlot which is my birth town, and as i recall manehattan as well. I like travelling myself and i plan to visit one day all of these places. I think it's pretty cool that you get to go so many places to sell your honey. " " you should also skip work sometimes." he said conspiratorially " i can help you learn how if you want. " this last was said as he made a mock cool pose. he laughed a little.
" I can cook too but it is just kind of basic stuff, nothing fancy. " he continued " it is a good skill to have for sure. Also you are very correct when it comes to magic, i can not think of any job that could not be done more efficiently with magic. Oh!. have you decided what you want to eat, my treat my new friend." Honey laughed at his 'cool' pose and smiled. "Well, I would skip work, but my bees need me, and if I don't harvest the honey then their houses get all stuffed up and they can't do anything!" She paused when he asked about what she was going to eat. "Oh my goodness, I haven't. Wow. I just got so distracted. Your treat, you said? Wow, thank you so much." She laughed. "Hold on, let me take another quick glance through the menu." She had already had tea this morning, so she decided she wanted something different. There were smoothies and teas and coffees and lattes, but her eyes settled on one. "Mocha swirl coffee? I've never heard of that. It sounds delicious." She smiled and tried to imagine the taste. It would be chocolate tasting with the coffee flavor not far behind. Somewhat like hot chocolate she supposed. It would certainly wake her up. For a meal, they had biscuits and scones and donuts and eggs and all sorts of meals, but she was more interested in the pancakes. She had always loved pancakes. There were pumpkin pancakes, cheesecake pancakes, plain pancakes, any type of pancakes. "They all look so good." She sighed happily. "But I think I'm going to go with the raspberry white chocolate chip pancakes." She looked up at him. "I love food," she said with a laugh. heart smiled as he looked up at the ceiling.
" Well, i am also going to have pancakes actually. The strawberry explosion." he replied as he took a deep sleepy breath. The myriad of kitchens sounds. the crashing of pans in the dish area. The shouting of one cook to another. The merry conversation of other customers. These sounds filled in the gap where heart had left only silence. he could smell the aroma of fresh coffee and fruit. He tilted his head to the side a little glancing about the room as a feeling of dissatisfaction rose inside him. he could feel a coldness settle in the pit of spirit.
" Do you suppose bees ever get tired of their little lives." he asked curiously " Just making honey. i am sure they are content. yet, they have a wider world beyond their hives. So, if some bee is discontent do you think the others see it as evil." he turned so that he could face his companion very directly. He wore a face filled with interest in her reply.
" We ponies grow unhappy with the state of things. We make war and who ever wins paints the other side evil. So i wonder if bees are this same way." Honey Buzz looked at Heartspan, turning away from staring out the window happily. She paused to think. "Well, I've only been working with bees for about 4 years, but from what I've observed they do have emotions much like our own. They do get bored with the same job all the time, but it's what they're made to do, you know? I suppose they don't have much else to do besides make honey." She frowned, biting her lip. "And another thing is that they don't live as long as us. At most, the worker bees live a year, and the queen bees live for around 3. So they don't have much time to get bored. And if they got unhappy with their life, the others wouldn't be mad, I don't think. They're kind and understanding, so I'm sure they would try to make that bee happy with their life again. And if it wasn't possible, they'd support that bee's decision to do something else with their time, even if it meant they didn't get to see that bee anymore." "I agree with what you say about ponies growing unhappy and making war, making the others out to be evil. But even though bees are a lot like us, I don't think this applies to them. They're peaceful creatures, and unlike us ponies, they see everyone as the same. They don't think of other bees as their enemies just because they look different or have different places where they make their hive. They don't really see any need to." She finished, tilting her head a bit. "But they do make war with ponies sometimes. If any unfriendly pony comes in to their area or starts trying to hurt one of them, they'll swarm and attack. But they don't do it just for fun, and they never assume all ponykind is evil. Unfortunately, with ponies, we have one pony of a certain race do something and suddenly that entire race is bad. I think it would be a much easier and simpler life if I was a bee." he thought very seriously about what she said. Looking at her as she spoke. The darkness in his spirit stirred restlessly but he kept it calm.
" yes, i think that life would be a lot easier as bee." he replied solemnly. " but from what you say their peacefulness is derived from their short life spans. So, do you think if we shortened pony life spans it would make our equestria a much more peaceful place?" The thought that entered his mind provoking his question was not one of mearly grim rules ending in execution but a gathering of magics that would on a broad scale reduce the pony lifespan. He would have to research into the matter he concluded to himself as a small pleasant smile spread across his lips.
" I also would like to know, is this way of thinking that bees have just n the colonies on your farm or is it a more wide spread way? I know you have only worked with them a short time but i am curious what your thoughts are." he continued. he flagged over the waitress and placed his order while he waited. Honey Buzz ordered quickly as she contemplated his question. "Well, it is from their short life spans but also just from what I think they have as a standard personality, being peaceful. And if we shortened pony life spans, I think maybe there would be less war. We wouldn't have as much time to start wars or even consider them. But at the same time, any advancements in technology and medicine would take much longer, and things would go too fast to be healthy. The population would probably start falling because there's not enough time to fall in love and have children, and the advanced speed of aging and growth would hurt bone structure and the like. So although it would be peaceful, it would be a sad and dark place." She paused. "Well, when I first got the bees they were from a bee farm a few towns over. But I haven't had much experience with wild bees. The ones I do see outside of my farm don't approach me or other ponies much, so from that I can assume that they are quite peaceful even outside of my farm. They don't start fights unless they know they can finish them, and they don't really even want to start them in the first place, seeing as they die if they do. So they must be at least a bit aware of the fact that they'll die and they hold their life precious. It's so short anyway, they don't want to shorten it, so I'm guessing they'll protect their life by being peaceful. It's really their only choice." heartspan smiled as he listened to honey buzz.
" I appreciate your insights into these things, you are most knowledgeable." he said warmly " i think properly crafted magic could for sure reduce things like bone and muscle disorder from such shortened life spans but i will change the subject i think." he rubbed his chin for a moment in thought. Once he found the topic he wished to discuss he nodded once in confirmation to himself before placing his hoof on the table and leaning forward.
" Since you like to travel have you ever considered travel outside of equestria, to places like saddle arabia for instance? not only that there are old ruins to explore and such. Would you go to those places? I cant seem to recall much of it but i have been pretty deep in the ever free forest. " " i think it would be fun to travel outside equestria and it is one of my goals. Not only this but i want to follow the great dragon migration but on its return trip. I would love to go and find a dragon and of course it's treasures." "Oh yes! 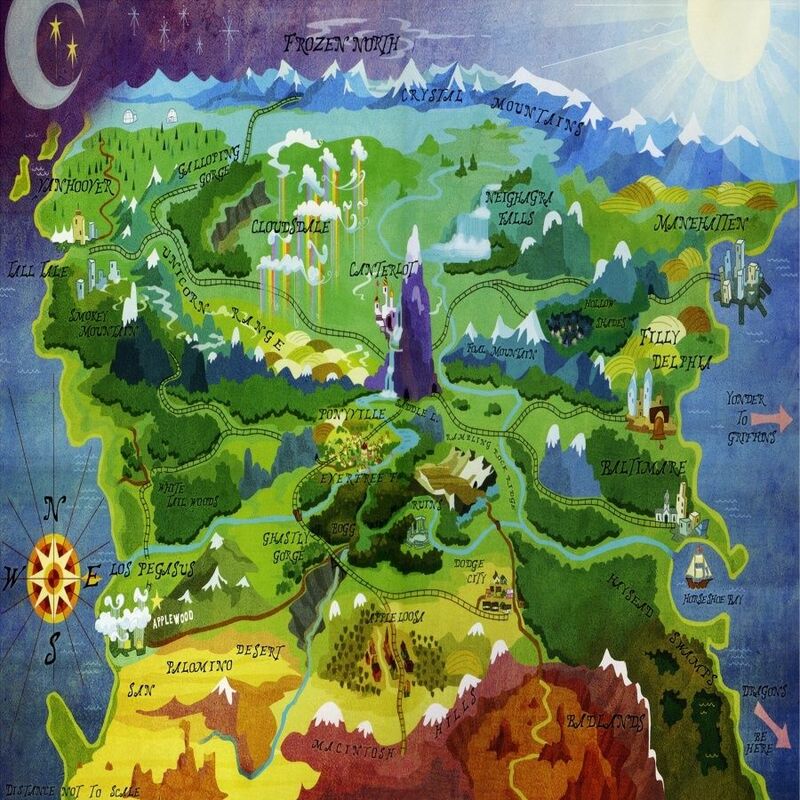 I would love to travel outside of Equestria and I do have plans to eventually. I'm currently saving up for a trip overseas. I'm preparing a good stock of honey to sell in Germaneigh, and I'm learning the language now. I don't think I'm going to Saddle Arabia anytime soon, but it's on my list of places I may want to go. Some of these places have different species of bees as well, and I'm very interested to pick some up. If the bees are okay with it, of course." Honey Buzz explained. "I also have plans to visit Prance. The ponies there are very upscale," she added with a hint of excitement. "The dragon migration might be fun. I never really considered it. I don't exactly have time for trips that aren't for business, so I don't think I'll ever get to go. But it would definitely be a fun adventure." Honey Buzz smiled. "Are you interested in dragons? I don't know much about them, but I find it interesting that ponies are fascinated with them." " well, I am not so much interested in the dragons themselves as i am about their treasures." he offered " I mean they fly presumably all of the world and they live quite a long time. With that said it is natural to think they have treasure that dates back ages. That is what i would like to find." " keep in mind though not so much old gems and jewels, but old artifacts. Weapons and magical knowledge would be my chief interest. Anyways, it is a dangerous thing to be after so i probably will never go for it. It is a shame though that you seem to never have a break from work related things. Even your travel plans include it. Expanding your business and adding new bees and new honey to your own is sound and smart, but without some private time to yourself i think you will burn out in the end." "The treasure would be interesting, I'm sure." Honey Buzz said, tapping a hoof on her chin. "Even if it's dangerous, you should try to do it sometime. Don't just let a dream slip away from you." She smiled and nodded. "It's true, I don't have much time for anything else, but it would be nice to have some private time. But bees have always been my life, and I'm not sure what else I would do with my life. Most of what I do ties to my bees in some way or another. I guess this is free time right now. I don't have much to do after noon, so that time I spend doing what I want, but it's usually just around the house. I love reading, mainly about bees, but I don't hate a good fiction story every once in a while."